turboterri has no other items for sale. 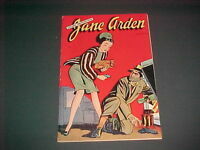 CRIMES BY WOMEN #15 SCARCE FOX GOOD GIRL LAST ISH 1951! $0.75 shipping for each additional eligible item you buy from turboterri. You will be contacted with payment instructions after the auction closes.